Study identifies epigenetic regulators linked to autism-like syndrome. While research has traditionally focused on finding individual genes responsible for Autism Spectrum Disorders (ASD), recent research has found links between epigenetic regulation and ASD in human patients. 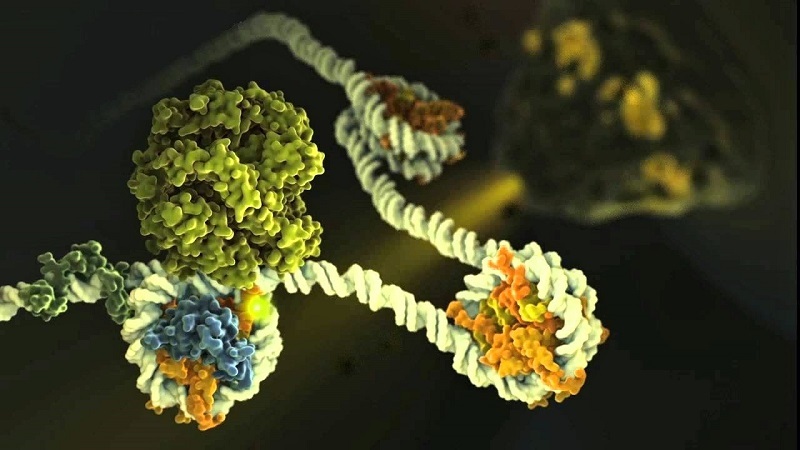 Epigenetics is the study of changes in the action of human genes caused by molecules that regulate when, where and to what degree a person’s genetic material is activated, rather than genetic changes in the DNA code inherited from the parent. Such regulation derives, in part, from the function of specialized protein complexes that bind to specific DNA sequences and either encourage or shut down the expression of a given gene. It is a general consensus that the identification of epigenetic processes that contribute to ASD development and progression is of major importance and may lead to the development of novel therapeutic strategies. Now, a study from researchers at the Icahn School of Medicine at Mount Sinai has shown that the epigenetic regulation of a family of brain proteins known as bromodomain and extra-terminal domain containing transcription regulators (BETs) plays a key role in normal cognition and behaviour. The opensource study is published in The Journal of Experimental Medicine. Previous studies show that the search for the cause of autism spectrum disorder reveals the disease’s associations with numerous gene mutations. Many of the ASD candidate genes encode proteins that control neuronal network formation and function. A significant fraction of ASD-associated genes, however, encode rather ubiquitous regulators of gene expression. The latter finding underscores the possibility of an epigenetic etiology of ASD, where aberrant control of gene expression rather than gene mutations can lead to abnormal neuronal development and function. One of the major challenges for testing the role of abnormal gene regulation in brain function is the lack of brain-permeable compounds to use un experimental models where changes in gene expression can be achieved in a controlled fashion and without any negative impact on neuronal function. The current study shows that BETs, a family of epigenetic regulators that bind to many different genes and contribute to the copying of these genes into messenger RNA, play a key role in the regulation of normal neuronal development and function. The lab developed a novel, highly specific, brain-permeable inhibitor of BET proteins called I-BET858 which was initially tested on in vitro cultured mouse neurons. Data findings show that it affected the function of a particular group of genes with known links to neuron development and synaptic functions; importantly a significant number of the affected genes have been linked to ASD in humans. The group also evaluated the effect of I-BET858 when injected into mice. Results show that the compound was able to trigger selective changes in neuronal gene expression in the brain followed by development of an ASD-like syndrome. The researchers observed that chronic daily administration of I-BET858 in young mice led to the development of behavioural abnormalities consistent with an autism-like syndrome, including reduced sociability and preference for social novelty. The lab conclude that they have found a link between I-BET858-induced ASD and the altered function of a rather limited group of genes. The team surmise that their findings reinforce the idea that ASD is not by only caused genetic alteration, it could also be caused by environmental factors that reduce the efficiency of gene transcription into full length RNA during brain development. For the future, the researchers state that these studies also suggest that pharmacological modeling of ASD in mice provides a valuable tool for the identification of genes that may play a pivotal role in the disease pathology or for the development of novel drugs targeting ASD.